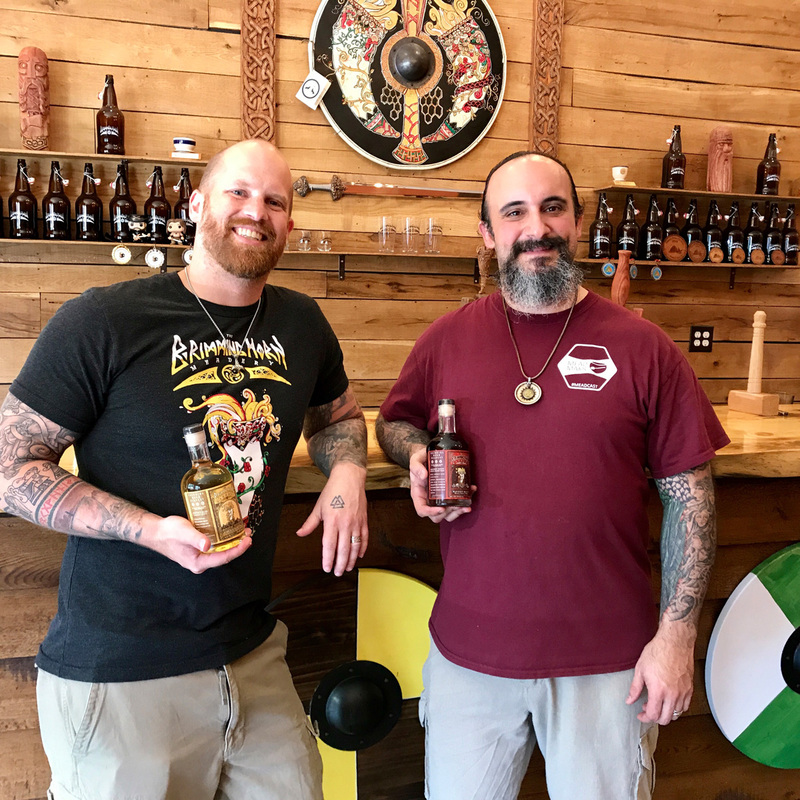 JR Walker and Jon Talkington, owners of The Brimming Horn Meadery in Lewes. Brimming Horn Meadery’s Jon Talkington returned home from the Mazer Cup International competition last weekend with a silver medal in hand. Their Freya’s Kiss mead won Talkington and Milton-based Brimming Horn their first commercial medal in the Traditional-Semi category. The Mazer Cup International based outside Boulder, Colo., is the largest and most famous mead competition in the world. The Mazer Cup boasts more than 450 commercial entries and 700 entries for home mead-makers. Meaderies from all over the world send in their meads for a chance to win a medal from the MCI. Not only did mead-maker Talkington head out to compete, but he also judged some of the mead categories for the commercial and home entries. “I headed out to Colorado on March 12 through the 18th for the AMMA (American Mead Makers Association) Conference and the Mazer Cup International Competition,” Talkington explained. “These two events bring out all the best mead-makers from around world. It was an honor to judge the home mead-makers’ competition and to compete in the commercial mead-makers competition. “I got to pour our mead at the Mazer Cup Mead Mixer, and we were very popular with the people attending the mead mixer. We sent out Svartalfar (a black currant mead) Blushing Goddess (a hibiscus, lemon and orange mead) and Freya’s Kiss (a traditional mead) for people to taste. Our Freya’s Kiss ended up with a silver medal in the semi-sweet traditional mead category! Brimming Horn is located on Lewes-Georgetown Highway (Route 9) near Hopkins Creamery and Steele’s gun shop. The meadery is open Friday and Saturday from noon to 7 p.m. and Sunday from noon to 4 p.m., offering tastings of the award-winning Freya’s Kiss and some other flavors.